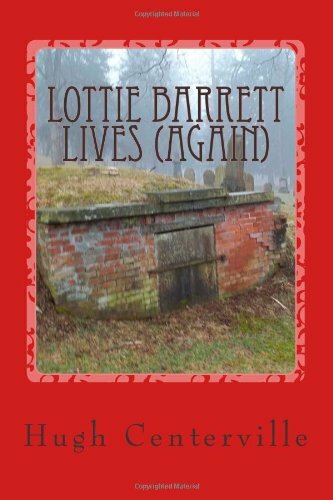 LOTTIE BARRETT LIVES (AGAIN) by author Hugh Centerville is a paranormal story. It is set in small town, Hope Mountain in 1966. A group of four 13-year-old high school students gather in the graveyard on Halloween night to try and conjure up the spirit of another 13-year-old, Lottie Barrett, who had died a century before. Charlene has an ancient book of spells, and Bobby, Judy, and Tommy are expecting a fun night. Then the unexpected happens. Lottie Barrett, shows up in Hope Mountain. Charlene, power hungry is now attached to her mysterious book. She tries to control the lives of everyone around her. If Bobby, Judy, and Tommy don't do what she want, then all sorts of awful things might happen. Meanwhile Lottie likes living in 1966. She likes Bobby asking him to kiss her! And Bobby does so in spite of the fact that he loves Judy. What will happen? 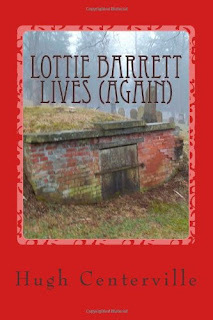 Will Lottie ever go back inside her grave again? What will happen to Bobby and Judy? LOTTIE BARRETT LIVES (AGAIN) is a paranormal story, which will keep readers engrossed and keep turning pages late into the night. It has witty dialogue, humor with heart-tugging pathos. Only drawback may be the writing style which is certainly different. The small town setting is done realistically.